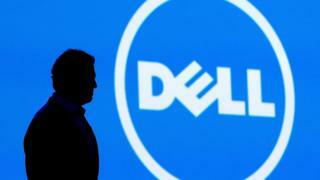 US computer giant Dell has agreed a deal to buy data storage company EMC for $67bn (£44bn). EMC shareholders will receive $33.15 per share, $24.05 of which will be in cash. If approved by regulators, the deal would be the biggest in history between two technology companies. Falling demand for PCs means Dell is looking to expand into more lucrative businesses, and it has identified data storage as a key growth area. "Our new company will be exceptionally well-positioned for growth in the most strategic areas of next-generation IT ," said Dell boss Michael Dell. EMC boss Joe Tucci said: "The waves of change we now see in our industry are unprecedented and, to navigate this change, we must create a new company for a new era". Mr Dell will be chairman and chief executive of the combined group that, Dell said, would be the world's "largest privately-controlled, integrated technology company". The exact cost of the deal will depend on the value of shares in VMware, the software company controlled by EMC. VMware will remain an independent, listed company. The price per share agreed represents a 20% premium on Friday's EMC closing share price of $27.86. EMC shares were up about 4% in pre-market trading on Monday. The deal is expected to close some time between May and October 2016. Analysts suggested the deal was a brave move by Dell. "Dell wants to become the old IBM Corp, a one-stop shop for corporate clients," said Erik Gordon from the University of Michigan's Ross School of Business. "That model fell apart a couple of decades ago. Reviving it would be a stunning coup for Dell."